Bringing up Charlie: On yer bike! Our first encounter was a car, desperate to get to school before us, cutting so close as it passed on the corner we could smell the driver's breakfast (or at least, hear the belch!). I apologise if you're still eating yours. Next - and the one after that and the most commonly dangerous element of our journey - a driver not checking before opening his (or her) door. I leave plenty of clearance, believe me, when passing parked cars. But driver's doors seem to be growing. 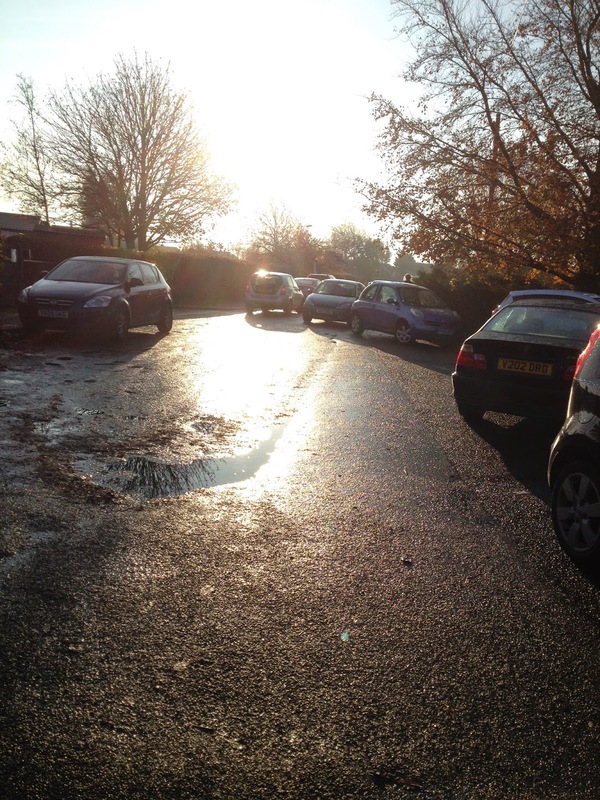 As if that wasn't enough, once we arrive there's the dreaded school-gate parking. I'm sure most people must think those pretty yellow zig-zags are there for them to park all over. Well, I say 'park' but that's to distinguish what more often looks like the random abandonment of vehicles. And I hope no members of staff were later than usual for work this morning. 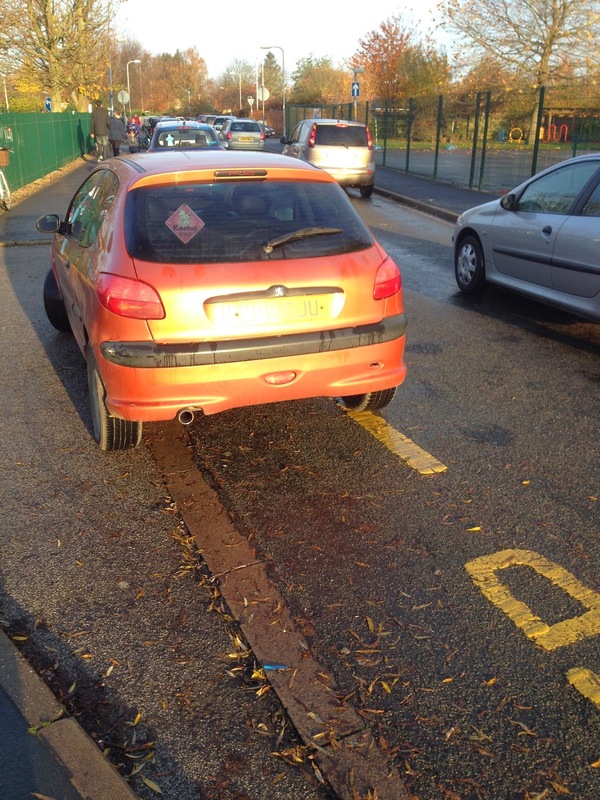 Because this parent was certainly making it difficult for them to get into the staff car park. And it's not just an occasional occurrence. Every morning we seem to be confronted with parking like you wouldn't think possible, driving that would be more appropriate to a racing circuit and the dreaded game of guess if the car door's opening. 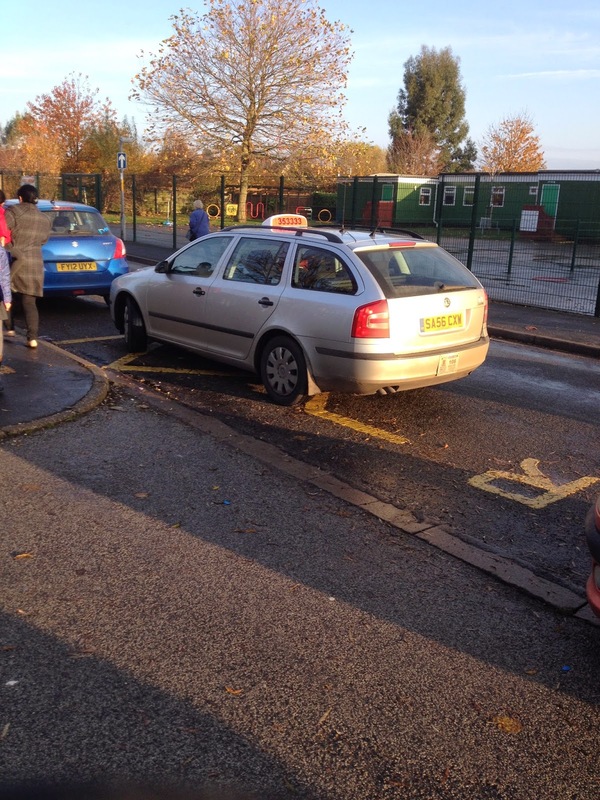 But the pièce de résistance last week was a driver exiting the school car park ...whilst texting. Yes, texting. As we were waiting on the pavement for him to pull out onto the road we had a perfect view. His phone was in his hand. There were kids everywhere, cars kamikaze parking (see above) and he was texting. Quite honestly it'll take more than a Road Safety week or a Be Bright campaign to remedy matters. We non-drivers: pedestrians, cyclists, scooter-riders, dog walkers or whatever ought to be fitted with sirens and a flashing light. Except, no. On second thoughts, that'd probably just make things worse. Because then the burden would be placed even more firmly on the innocent non-motorist to make those behind the wheel do what they should be doing anyway - driving carefully. So come on folks. Do the decent thing. Don't text, don't park on those zig zag lines. Don't open your door without looking and don't speed up as you pass us - slow down. Better still, get on your bikes. Because - thanks to scenes like this - we still get there before you!